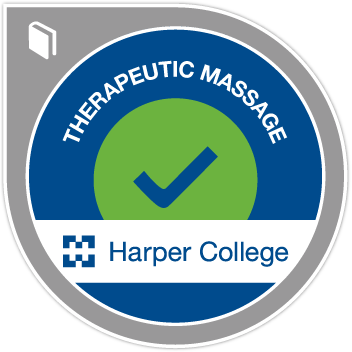 In the Therapeutic Massage program, badge earners master the theory and practice of working in the massage industry. Individuals complete hands-on clinical experience in addition to classroom coursework by completing courses Introduction to Therapeutic Massage, Massage Fundamentals, Massage Theory and Application, Massage Advanced Techniques, Massage Practical Clinical and Massage Advanced Clinical. Badge earners are eligible to sit for the national MBLEX exam to become licensed.